Monday Miracles: Session One | Sustainable Shanti Is Now Em & El Organics! Each day we are bombarded with what major media calls “the news”. It’s almost always depressing or sensational, leaving many of us to feel despondent and isolated from solutions to seemingly enormous problems, or so I believe. In light of this onslaught of bad news, I’m officially beginning a new weekly series which I like to call Monday Miracles. In this world of doom and gloom about the environment, we need to remember that there are people who are working to change the situation, finding creative solutions to the problems we all face. I’ll start this first Monday with a program with which I have been involved over a number of years. at Rocking the Boat, boats build kids. Since then, I’ve become more outgoing. I feel like I’ve grown. I take things a bit more seriously and I look forward to accomplishing a goal. I see the beauty in nature, now more than ever, and I see the art in boatbuilding and woodworking. The best part is all the skills I’ve mastered. 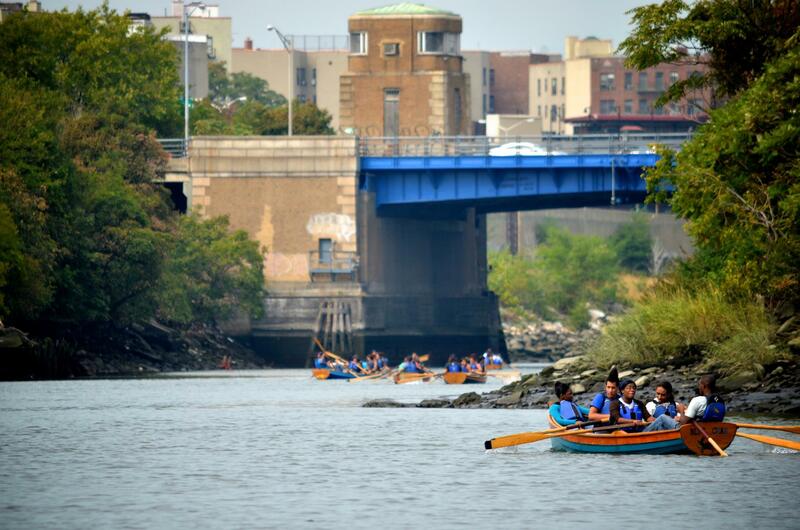 My favorite memory is getting into the very first kayak and canoeing down the Bronx River, awesome. They are an incredible bunch of people who are dedicated to changing the problems in the neighborhood by teaching students to be conscious of the environment, of their neighborhood and of the impact they have on both. Their voices matter. Their actions have potency. I encourage you to check out the program (and donate to it! ), as they are helping to train the leaders of tomorrow and I, for one, think they should be applauded, over and over and over again. This entry was posted in Monday Miracles and tagged Bronx River, environment, Monday Miracles, positive changes, Rocking the Boat by sustainableshanti. Bookmark the permalink.